We realized very early on with Josephine just how blessed we were. We were given the job of bringing a precious little girl into the world with all the love and care we could. She had a purpose from the start. Lives were changed by this innocent little girl and we still talk about her (and her kicks!) every single day. Imagine our surprise three months ago when we found out that just as she blessed us last year, her blessings continued into this year. No sooner than we said goodbye to her, it was only a short time before something miraculous was happening. 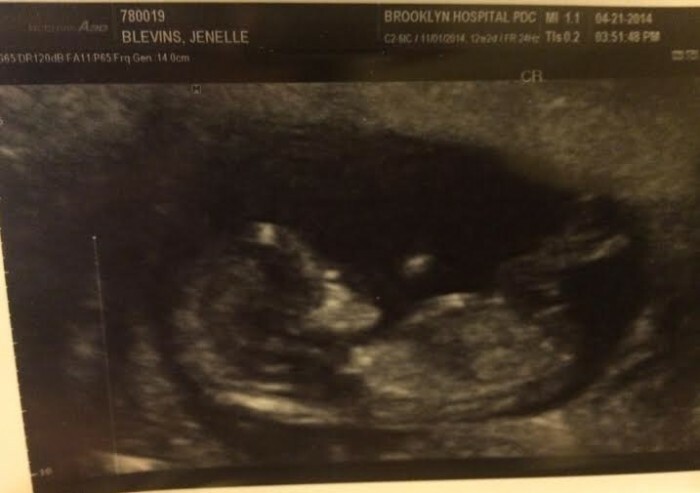 Introducing Baby Blevins – our beautiful second child! Your reaction as you read this is probably the same as ours was when we found out… NO WAY! The past weeks have gone by so quickly with our little ‘Bilby’. No nausea but lots of tiredness. It has been a very different experience to little Josephine. I won’t say it hasn’t been stressful, but just like we did with Josephine, we fully trust what has happened to us. We prayed to Josephine for this and she wasted no time in ensuring they were answered. Let’s not talk about all the ‘chats’ I’ve had to St. Gianna nearly every day as well. Between this and the support from our families, the past months have gone by with lots of reassurance and lots of love. To make this even more poignant, Bilby’s due date is November 1 – All Saints Day. The day specifically set aside for Saints. A day set aside for Josephine. We lost our ‘pregnancy naivety’ at 12 weeks along last year. Our doctor is most aware of wanting to try and keep the stress levels down for us as much as possible. But I have to tell you while we are nervous and scared, the prospect of being able to bring Bilby home has our heads spinning with excitement. We are really still are coming to terms with this because we thought we were blessed beyond words with Josephine and now.. it is happening again with Bilby! In case you were wondering, so far, all looks good! Bilby has no sign of any neural tube defects and has been growing well. From the moment Josephine was born we said, if we were given a similar situation again, we wouldn’t change a thing that we did. At each of our appointments with Bilby, that feeling has not changed a bit. Whatever happens next week, next month, next trimester… we will just deal with it with lots of love and trust. Just like we’ve done before.